Get Your Very Own Star Dust, In A Bottle. 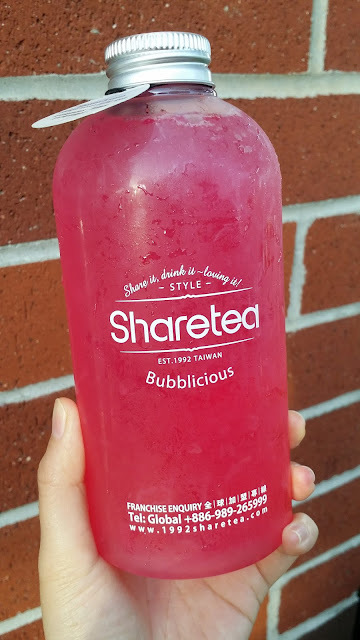 Now Available At Sharetea! - EAT WITH HOP! Home / BOBA / CA / CERRITOS / DRINK / LA COUNTY / Get Your Very Own Star Dust, In A Bottle. Now Available At Sharetea! I FELT SO DECEIVED! 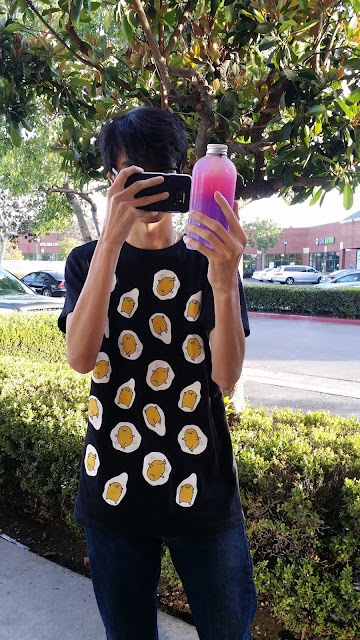 All the photos of the new bottle on Instagram made it look so huge! 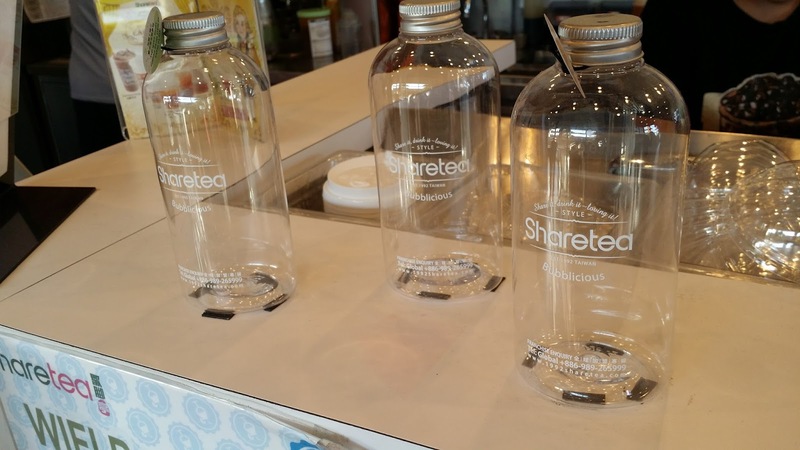 However, when I saw it for myself in person in store, the bottles were actually skinny! Anyway. The bottle is way smaller than I thought since it's not actually as fat looking as the photos on Insta. I thought this was a pretty cute and neat idea for the straw wrappers! 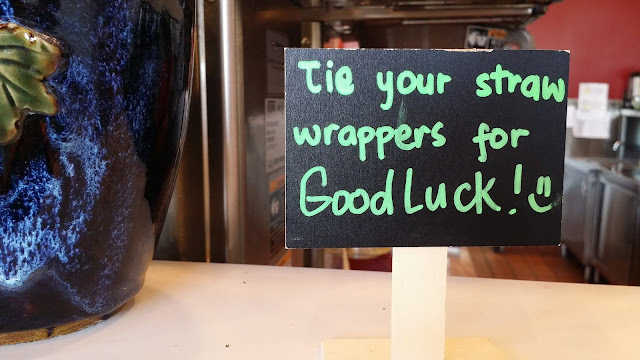 Tie them for good luck! It's like those wishing trees you'd see at the shrine in Anime or something. 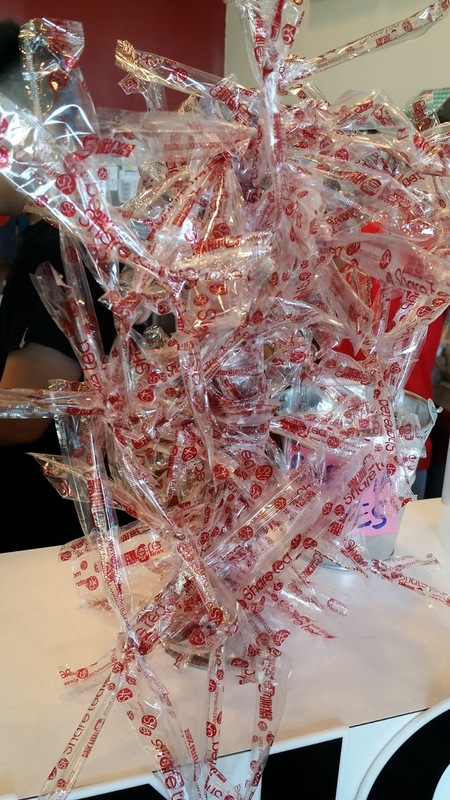 Look at the straw wrapper wishing....tree .. ?! So I collect stamp cards now ever since I got a handy dandy business card holder booklet from Daiso. I used it to organized all my stamp cards because I ended up getting freebies but never bring them T__T.. 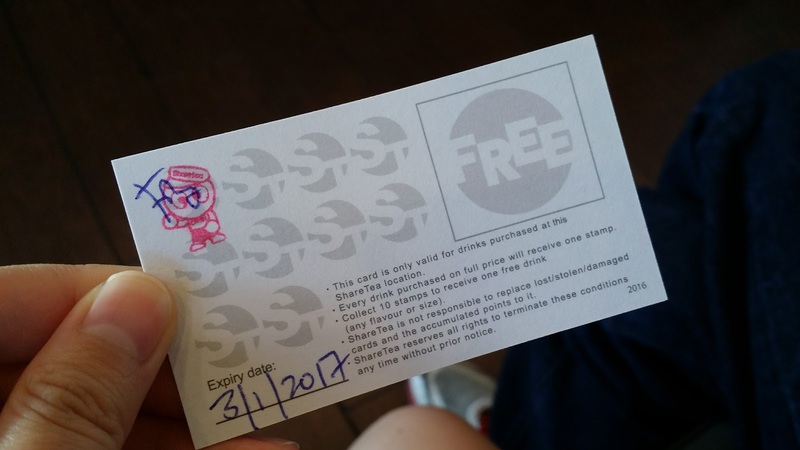 Anyway, what a joke of a stamp card this is from Sharetea! Why does it expire?! I have to come here 10 times before March next year to get a free drink? Probz not gonna happen. I can tell this place is totally focused on the locals more so. Here is Kevin taking photos for his food blog. LOL Check him out at @needtoeatmore on Instagram. I totally dragged Kevin along and made him go with me to try this drink. I wanted the whole world. He bought me the galaxy. 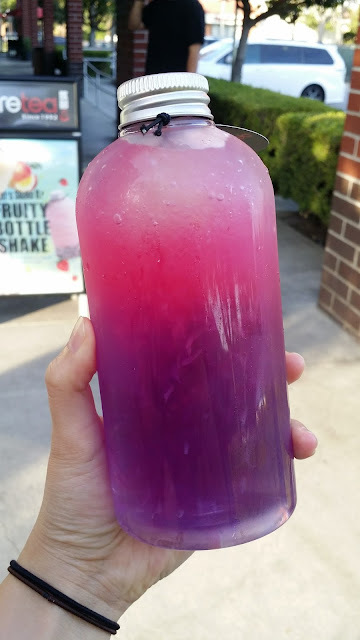 I decided to get the Butterfly Pea Tea with Lemon Juice (the lemon makes the magical color change by changing pH level of the special tea). It was honestly, aiiiight. So it does look quite pretty with the purple and pink layers. But come on.... I was hoping the cool color change thing would magically make this drink yellow or blue or something. Something crazy yannoe? But instead it was a mix of both colors which ended up being pink. Obvi.... what's with the hype ?! 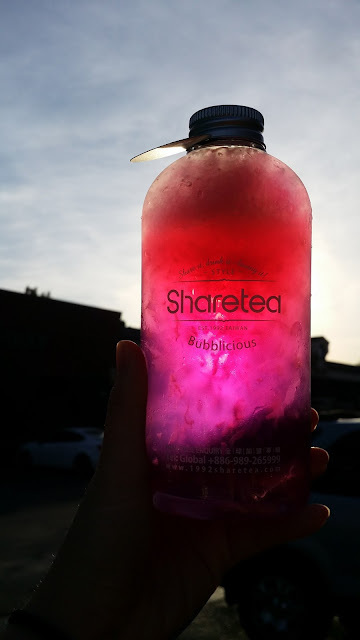 So we shook the bottle and it ended up becoming this pink color. Looks quite cool with some light shining through it. Here is the line of Stardust Drinks! Ohhhh man. If you want your food business to rock, just make something insta-worthy and pretty and BAM! Instant hype. Forreal though. That's how I got hooked onto trying this stardust drink. 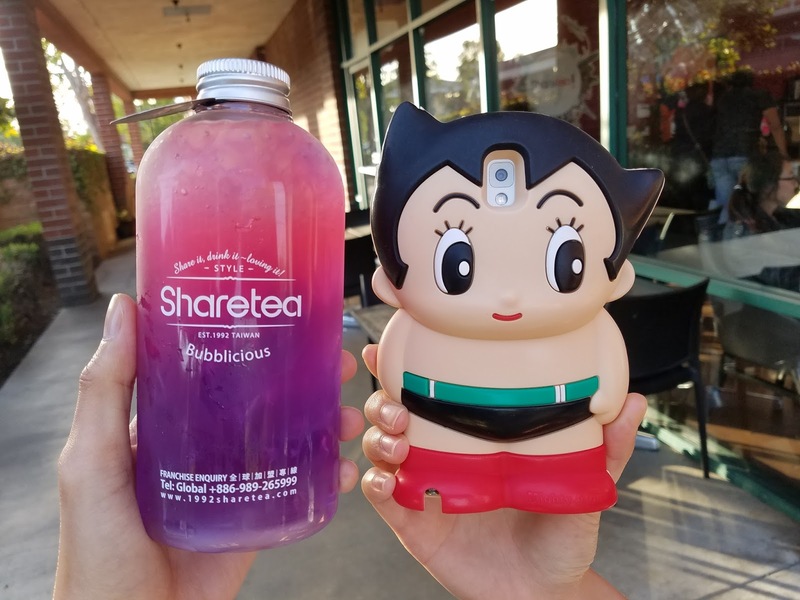 I dragged Kevin along to go to Sharetea in Cerritos which is conveniently located near Los Cerritos Mall! Shopping time! 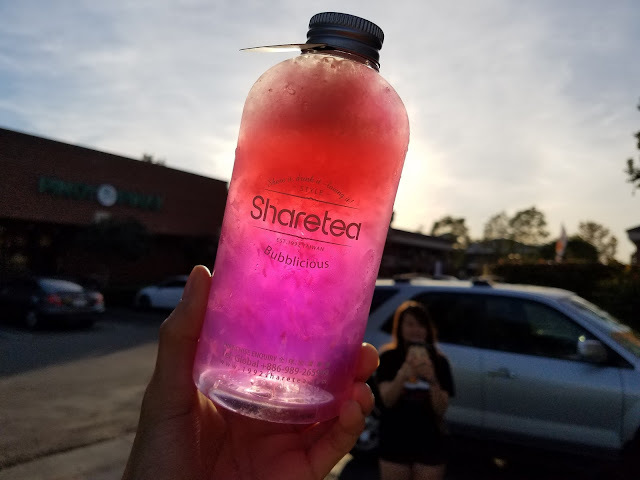 The Sharetea Cerritos was crowded! Whoa! It was a random weekday too in the afternoon. 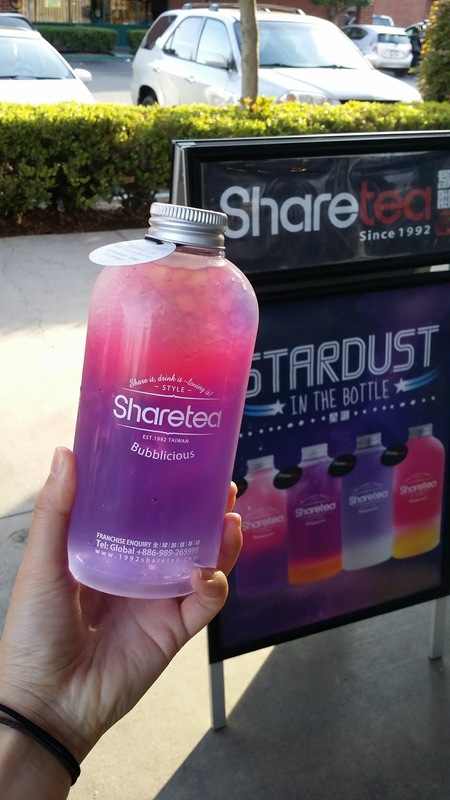 They have this new Stardust Series of drinks that look like bottled star dust or galaxies. The drinks are definitely pretty but beauty sure costs a lot of pain.... and money. Pain from being poorer. And money because these drinks cost like $6. $5.75 to be exact. Anyway, I have been wanting to try it really bad because I'm a sucka for pretty (do I ever learn?!!) and Kevin bought me the Butterfly Pea Tea (what kind of name is this?) with Lemon Juice. It is sooooooooo pretty but in the end when you shake it the color is just pink which was the top layer anyway. I was hoping for some crazy color change like... idk. Blue or Orange or .. something crazy. But that's not gonna happen. The drink itself is very... regular. 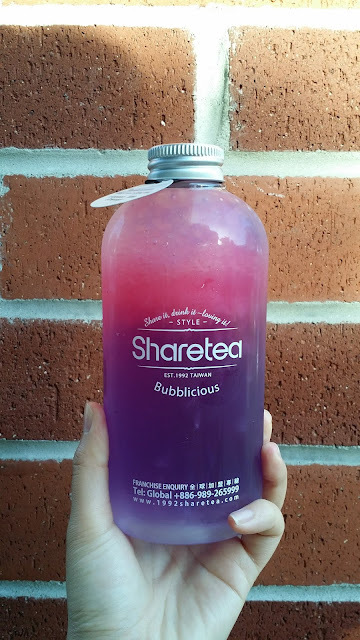 My drink tasted like just Pink Lemonade.The bottle is plastic and not worth keeping or re-using, at all. It's also misleading in photos because it looks fat like kind of worth the money? But no. The bottle is skinny on the side. What?! Not really worth the $6 since it's very... regular tasting and only pretty. Oh well, it got me a lot of Instagram likes. And now I know for the future not to fall for these traps. And hopefully you can decide if its worth for you to try or not! I don't blame you for wanting to try it though because maybe the other flavors are better?! There are 4 different drink flavors! Check out the Sharetea Instagram! *I believe this drink is available at all Sharetea locations.